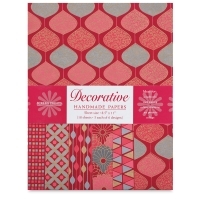 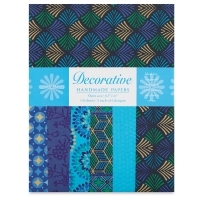 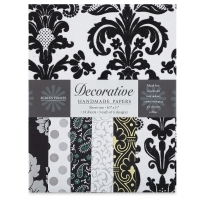 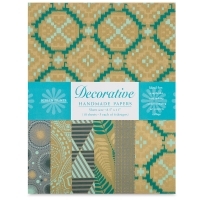 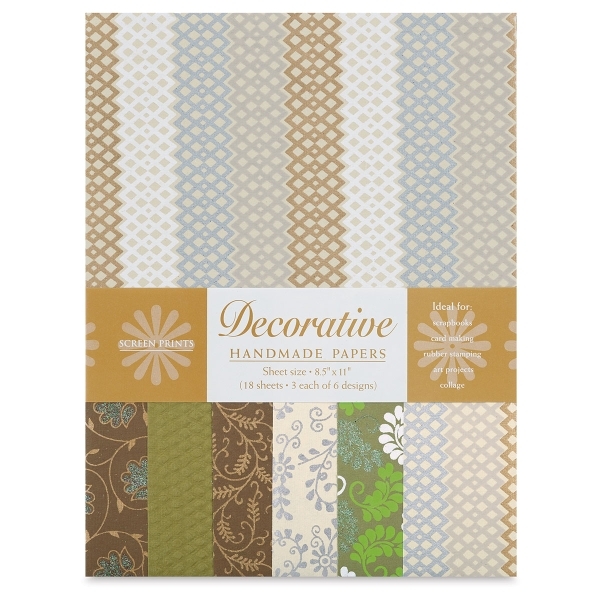 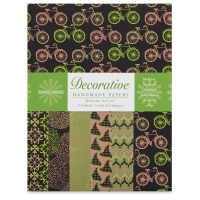 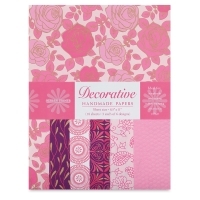 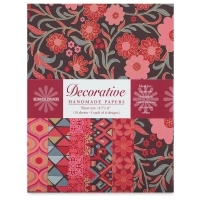 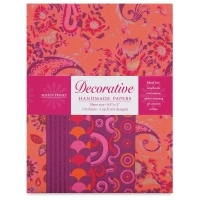 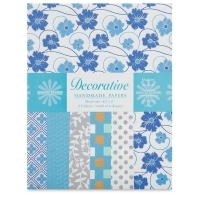 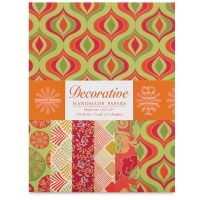 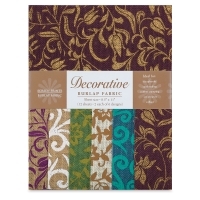 Make your paper projects bright and color-coordinated! 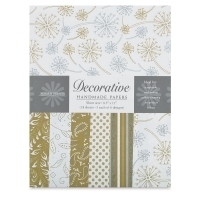 Each pack contains 18 sheets total, with 3 sheets each of 6 designs of embossed, screen print, dew print, and glitter print papers. 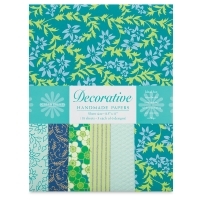 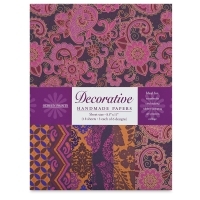 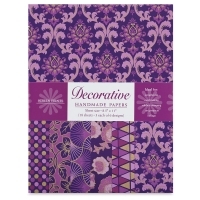 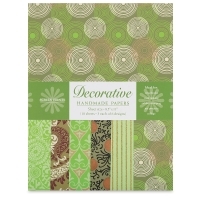 The paper is handmade from 100% recycled, post-consumer waste. 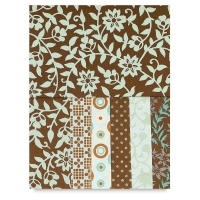 Individual sheets measure 8½" × 11" (216 mm × 279 mm).